Real Madrid's all-time top scorer, the UEFA Champions League all-time top scorer and 5 times Ballon d'Or winner Cristiano Ronaldo has moved from La Liga to Juventus in the Serie A in a deal worth 112M Euros, an official statement by Real Madrid on social media said. With the Portuguese star set to move to the Italian champions, there are a lot of changes that will be ushered in both at Real Madrid and Juventus themselves but also potentially the rest of Europe's elite as well, with Real Madrid looking to fill the gap left by their departing talisman. Here are the possible implications this mega-transfer may have for both parties involved and also various others. It is believed that Juventus have reportedly been planning to sell some of their other prized assets to make way for Ronaldo, both physically and more importantly, monetarily. 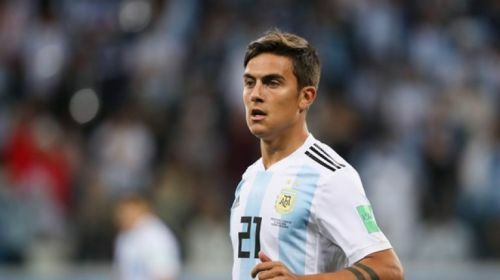 With a couple of names in the mix, the one that has gathered the most traction so far has been Argentine starlet Paulo Dybala, who was up for a transfer to the Premier League, with sides like Liverpool and Manchester United named among possible suitors, in the case of Ronaldo's transfer going through. With Ronaldo's transfer recently finalised, it is yet to be seen if Paulo Dybala is destined to grace the Premier League next season. If a transfer does eventually go through, it looks increasingly likely that Liverpool will be the Argentine's destination, with Liverpool having contact with Gustavo Mascardi, who is historically close to Dybala. Scoring 26 goals last season for the Old Lady and still only 24, if Ronaldo's arrival spells trouble for Dybala's chances, which it probably will, it will be in the best interest of the 24-year-old to move to another top club where he gets regular playing time, and with stats like his, any club that eventually manages to secure his signature in the event of a possible exit from Juventus will be getting themselves a proven goalscorer and one of the leading talents in World Football.